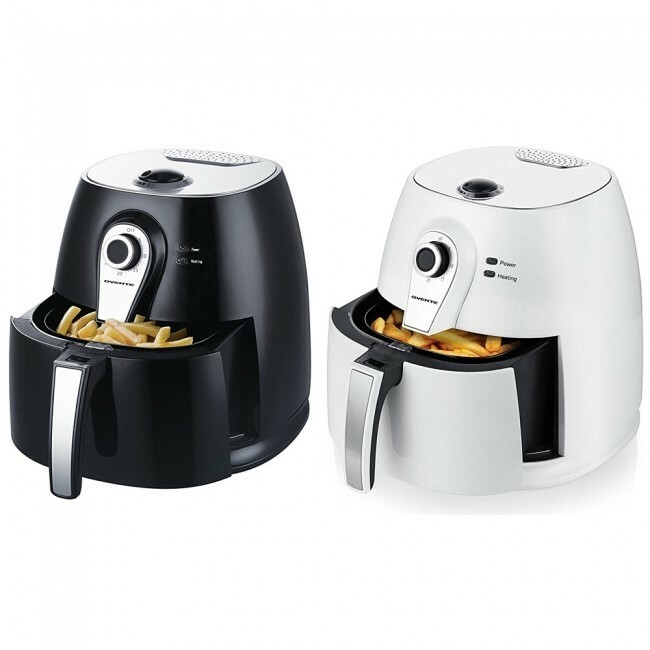 LESS OIL, MORE FLAVOR – On average, air fryers use 70% less oil than conventional frying methods, saving you money. With an air fryer, you can taste the true quality of your fried foods, instead of it being saturated in greasy oil. 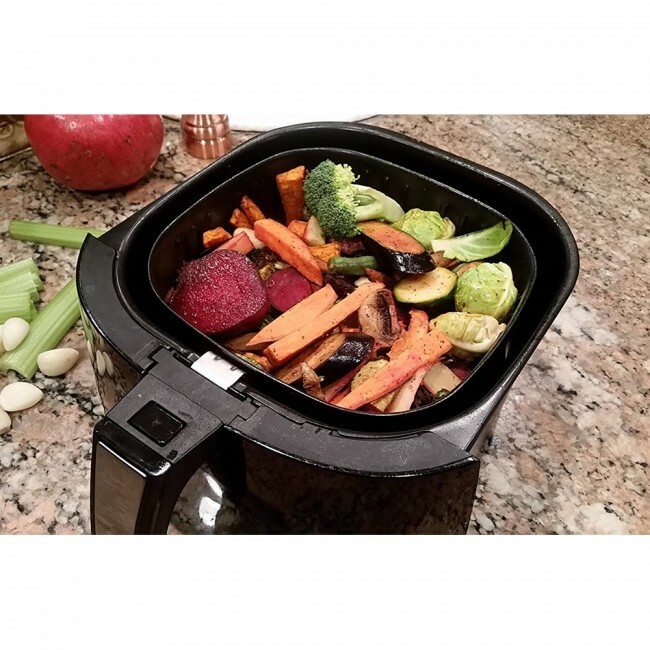 POWERFUL & ADJUSTABLE – Comes equipped with 1400W power, 3.2 qt capacity, high-speed air circulation technology, LED indicator lights, and a rotary temperature control knob (140-390°F). CONVENIENT – Features a non-stick removable basket, a cool-touch handle and housing, a timer (up to 30 min), anti-skid feet, has dishwasher-safe parts, and auto shut-off for safety. VERSATILE – Fry, bake, grill, and roast anything with this extremely versatile appliance! 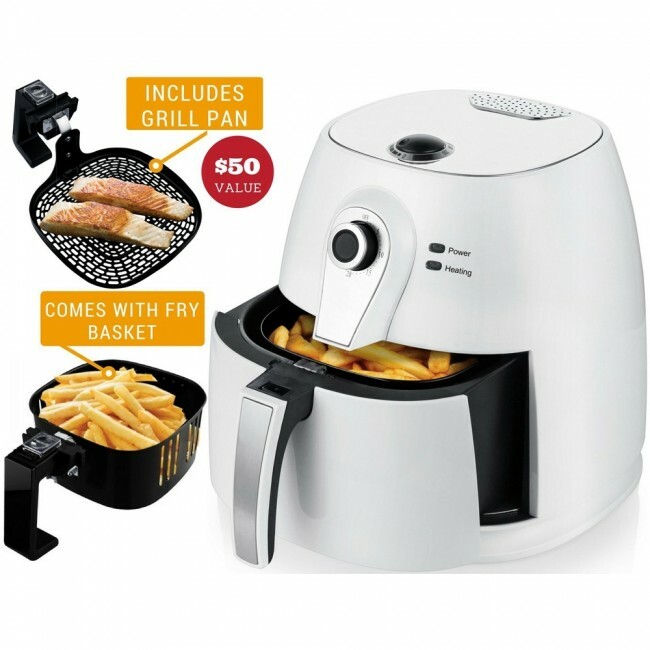 From homemade French fries to brownies, it does it all with a simple touch! The instruction manual also includes recipes. 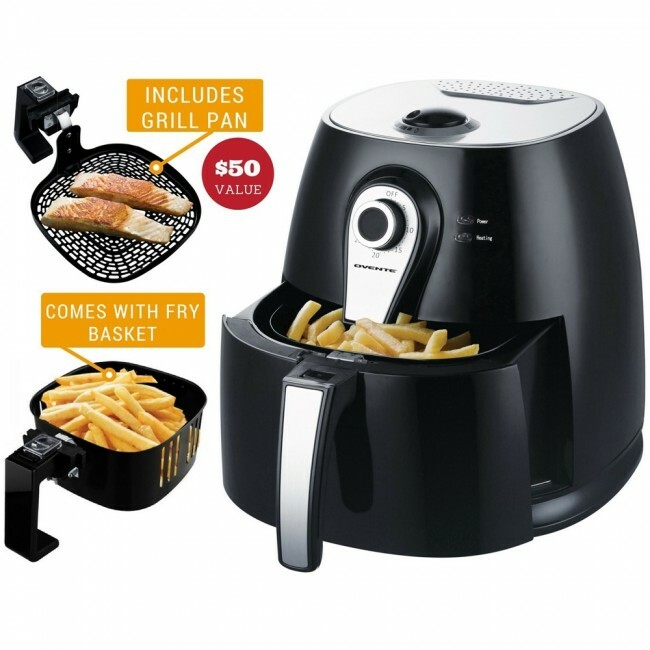 FANTASTIC VALUE – Your purchase of an Ovente Air Fryer also comes with a bonus grill/fry pan and a fry basket to suit your versatile cooking needs. 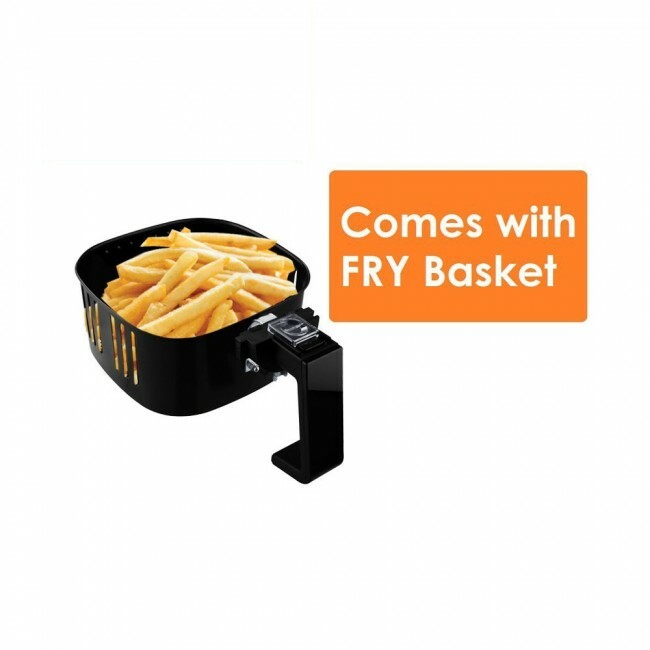 3.2 QT capacity: with a non-stick removable basket. 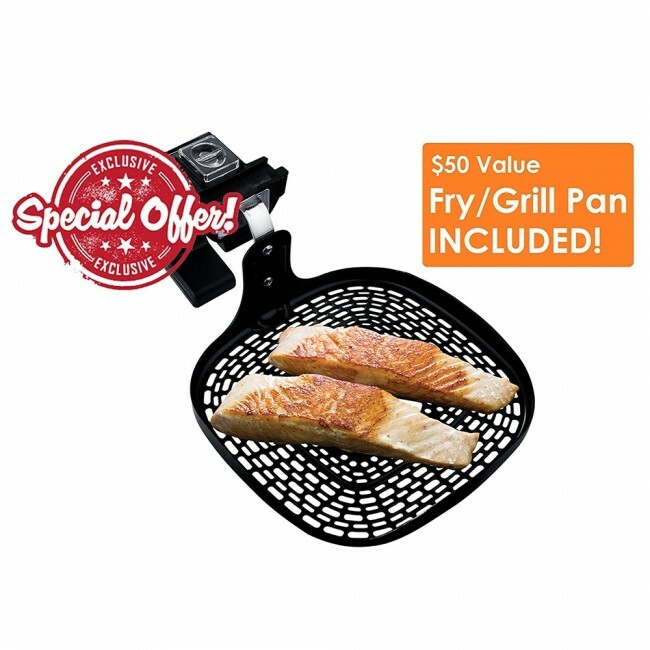 French fries, poultry, seafood, red meats, pastries and more! 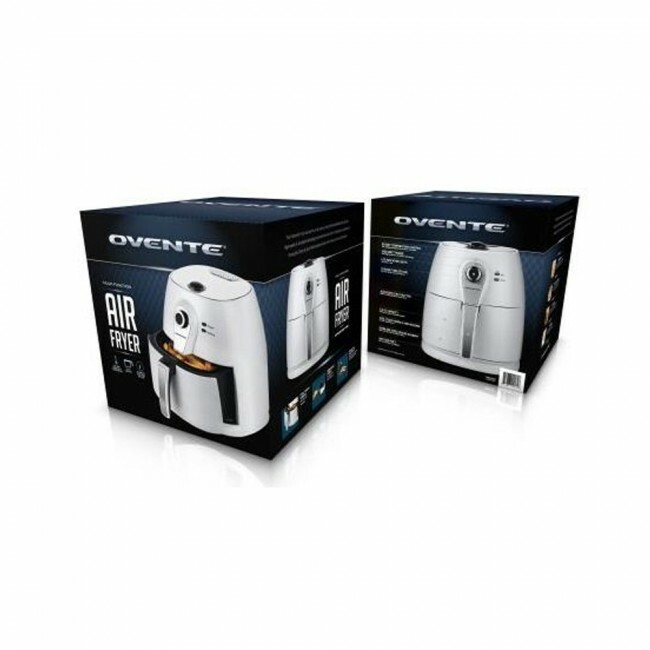 If you wish to cut your calories and maintain average cholesterol level in daily meals or are too busy for time-consuming meals, the Ovente Air Fryer is your answer. 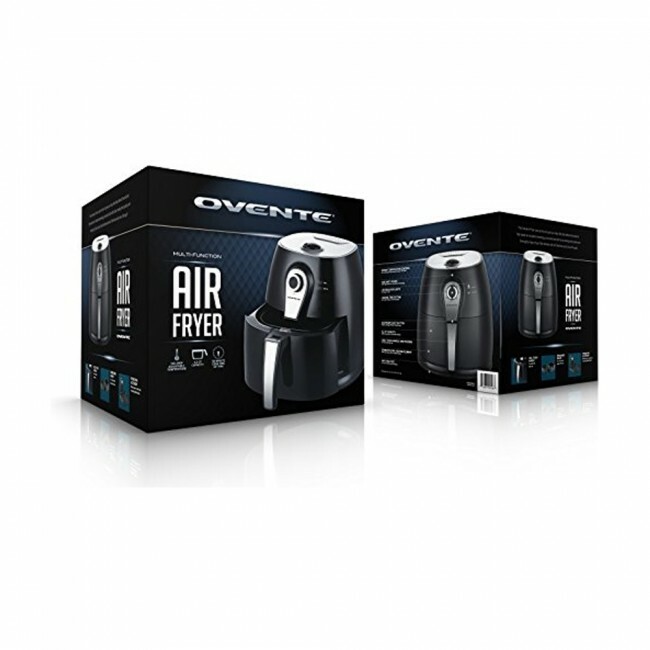 With its 1400-Watts of power, rotary temperature control, 3.2 Qt capacity with a non-stick removable basket, anti-skid feet for extra safety and stability, easy-eject button, LED indicator lights, stainless steel heating element with auto shut-off for safety, the Ovente Air Fryer has all the premium features to help enhance your culinary artistry. 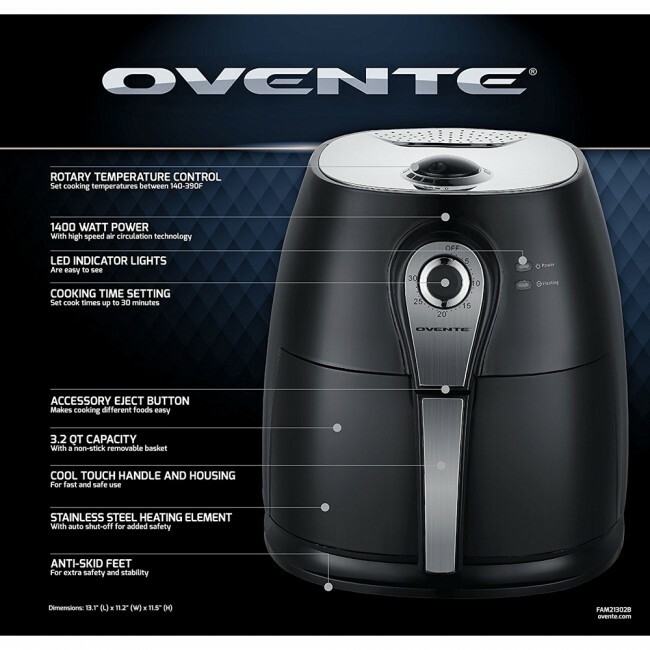 Experience a new culinary lifestyle with Ovente.